Dr. Parima Daroui is a radiation oncology specialist in Orange, California and she works at University of California, Irvine Medical Center. She got her diploma from Rutgers Robert Wood Johnson Medical School and did his internship at St Barnabas Medical Center. Dr. Parima Daroui completed his residency program in Radiation Oncology at UMDNJ-Robert Wood Johnson Medical School. The doctor is certified in Radiation Oncology and has an experience of more than 10 years. Dr. Parima Daroui has contributed to 3 publications. The dosimetric impact of image guided radiation therapy by intratumoral fiducial markers. Yu, S.,Lawrenson, L.,Wei, R.,Sehgal, V.,Hanna, N.,Kuo, J.,Daroui, P.,Ramsinghani, N.,Al-Ghazi, M.; Pract Radiat Oncol. 2016 Feb 08. 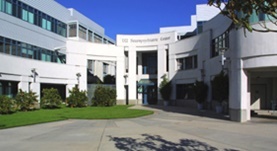 Practice Patterns in the Delivery of Radiation Therapy After Mastectomy Among the University of California Athena Breast Health Network. Mayadev, J.,Einck, J.,Elson, S.,Rugo, H.,Hwang, S.,Bold, R.,Daroui, P.,McCloskey, S.,Yashar, C.,Kim, D.,Fowble, B.; Clin. Breast Cancer. 2014 Sep 24. Three-year outcomes of a once daily fractionation scheme for accelerated partial breast irradiation (APBI) using 3-D conformal radiotherapy (3D-CRT). Goyal S Daroui P Khan AJ Kearney T Kirstein L Haffty BG; Cancer Med. 2013 Dec .